Introducing minimum fare of Rs.2699 on Hatch and Rs.2999 on Sedan for 330 kms and 6 hours (inclusive of applicable taxes). Special fares will not be applicable incase of any of the below scenarios: Trip distance exceeds the threshold of 330 kms OR Trip duration exceeds the threshold of 6 hours OR You change the destination through your or the driver app OR You take a route other than the one shown in the driver app. Each hour few lucky riders will see a ‘Surprise’ option which will let them request rides to Delhi NCR for as low as Rs.2499 for 330 kms and 6 hours! Uber Amex Card Cashback Offer : Get 10% Cashback* up to a maximum of ₹1,000 per Card during the offer period. The offer is not applicable for Card-on-delivery or Pay-on-delivery transactions. The offer is not valid for Supplementary Cards or Account Cards. Uber Ride Offer: Now Get Flat 25% Off on Uber Rides. Maximum discount of up to Rs.100 per ride. Offer is applicable for select users only. Limited period only. Uber Cashback Rewards Offers : Unlock amazing deals on Uber with Ridesmart Rewards. Also get exciting Uber Eats and Paytm offers on flights and movies! Limited passes available. Uber Cashback Codes : Now Get Flat 30% Off Upto Rs.500 on Uber Intercity Rides. Valid in delhi lucknow jaipur cgarh and ludhiana only. Offer is applicable only for select users. Limited period offer. Uber Jodhpur Coupons : Open your Uber app and enter the promo code. You will be shown an upfront fare of ₹59 or less for the destination entered if it’s upto 8 kms. Always check the final fare to the destination on your app before requesting. Offer is valid for All Users. Apply Coupon Code to Avail the Offer. Uber Cashback Coupons : Open your Uber app and enter the promo code. Enter your destination location. You will be shown an upfront fare of ₹59 or less for the destination entered if it’s upto 8 kms. Always check the final fare to the destination on your app before requesting. Offer is valid for Select Users. Limited period offer. Uber Lucknow Cashback Offers : Min fare: ₹249 (for 15 km and 1 hour of travel). Per km fare above 15 km: ₹9/km. Per minute fare above 60 minutes: 2/minute. Cancellation charges: ₹100 if you cancel after 5 minutes of requesting. Dynamic or Surge pricing is not applicable. Taxes and Tolls extra. Available on cash only. Uber Ludhiana Offer : First 5 Uber Rides Flat Rs.49! Uber Ludhiana Cashback Offers : Start riding with Uber today and enjoy your first 5 uberGO rides at Flat ₹49, valid for trips up to 5 km anywhere in Ludhiana! You will pay no more than your upfront fare of Rs.49 for distances upto 5 kms, anytime & anywhere – no surprises! Valid only on uberGO rides in Ludhiana, within the city limits. Flat fares are only valid for the trips less than 5 km. Regular fares apply for trips greater than 5 km. Flat Fare not valid on uberX trips. How to use and apply Uber Coupons & Promo Code? Save more on your every travel with Uber coupons & promo code. Choose your Uber ride and save your pocket on every Uber offers. 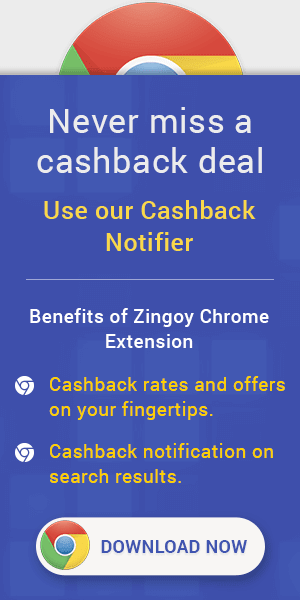 Check how to apply Uber coupons & promo code on Zingoy.